US retail giant Wal-Mart Stores is in discussions with companies behind the UltraViolet (UV) common file format and digital rights authentication ecosystem to provide an in-store service that will assist customers in registering DVDs they already own, reports The Wall Street Journal. UV has some 800,000 household accounts in the US since the first UV-enabled DVD and Blu-ray Discs were sold in October 2011 according to the IHS Screen Digest US Video Market Intelligence Service from information and analysis provider IHS. 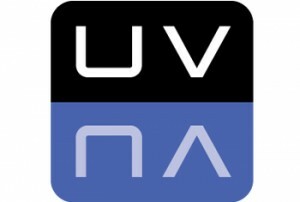 UltraViolet is run by the Digital Entertainment Content Ecosystem (DECE), which includes five of the six major film studios: Time Warner Inc.’s Warner Brothers Entertainment, Sony Corp.’s Sony Pictures, News Corp.’s Twentieth Century Fox, Comcast Corp’s Universal Pictures and Viacom Inc.’s Paramount Pictures. While UltraViolet accounts are free to set up, the initial process has been criticised as cumbersome, leading to reports of Wal-Mart’s involvement. It is understood that employees of Wal-Mart will help customers create UltraViolet account, and will also check DVDs that shoppers already own, adding titles that are part of UltraViolet system to their accounts for a small fee. Wal-Mart is a member of the UltraViolet consortium. Wal-Mart acquired online movie service Vudu in 2011 for a reported $100 million, with the service becoming the third most popular in its sector, according to IHS Screen Digest. Reports also suggest the consortium is in discussions with Best Buy, a fellow member of the DECE consortium, about introducing a similar service at the electronics retailer’s stores. Any such deal with retail outlets would mirror the initiative announced February 28th by UK electronics retail group Dixons, which has launched the KnowHow Movies online service utilising the ‘360 degree’ product knowledge and customer care ‘KnowHow’ staff training initiative and branding. Dixons executives have confirmed that the service will offer UV-enabled titles later in 2012.